Jocelyn Hook dreams of following the footsteps of her father, the great Captain James Hook, but her grandfather – and sole guardian – has other ideas. When she is shipped off to finishing school she knows its not the place for her, but she can’t let her dreams die. When she receives word that the fierce era of Captain Hook has ended she sets sail to Neverland to avenge him. But what Jocelyn meets there will be a surprise to everyone, including herself. Hook’s Daughter wasn’t how I expected but it was brilliantly put together and I think would make for an exceptional story to any middle grade reader who is after adventure and excitement – especially if they are looking for a girl who isn’t into the typical ‘girly’ things you often see represented in that age range of books. The story is brilliant and mixes the idea of a posh victorian boarding school with pirates, mystery and mayhem. The link to Peter Pan as we know him isn’t that huge a thing at the beginning of the story but as it goes on it gets better. I expected more of Neverland which I think caused me to read the story a bit too slowly to begin with but once Jocelyn landed on Neverland things really picked up for me. I loved Jocelyn as a character because she really knew her own mind and was determined to do what she had to to get where she wanted to be. She was by far my favourite character and I liked that she didn’t rely on anyone else to jump in and save her or do anything for her. The friendship between her and Roger was one of my favourite parts of the story because I think they were the best characters and I really enjoyed how that changed and grew in the book. The book fell a little flat for me and I’m not sure why. I fully expected to love it but for some reason I struggled with it and it took a bit too long for me to really sink my teeth into. I can see that it is a fantastic book with brilliant characters and a great story but I think I struggled with he writing, and I honestly don’t know why, I think it just wasn’t for me. I loved the way the narrator kept popping out of the story and making reference to the reader but other than that I couldn’t get into the flow of the story and there was a lot of stop starting for me. I do think this was more of a me thing than an issue with the book itself though and that other readers won’t have the same problem at all! The addition of Peter Pan towards the end of the book was fun and I liked the way he was portrayed, the Lost boys were great too and I hope for the sake of other readers and they turn up in the second book. This is the start of a new series and I think it will probably be a great one, but liked that I could stop at Hook’s Daughter and wasn’t left hanging on for the next. It was a well-rounded story all on its own with just the slightest tease of what will come next for Jocelyn. 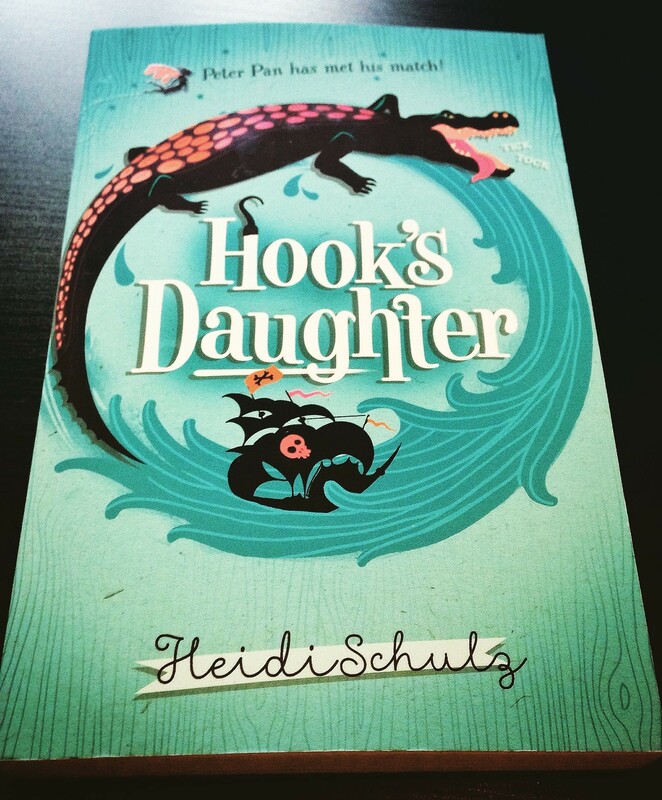 Hook’s Daughter was published by Chicken House on March 5th 2015. My copy was sent from the publisher in exchange for an honest review. Hmm, I’ll add this to my TBR list!